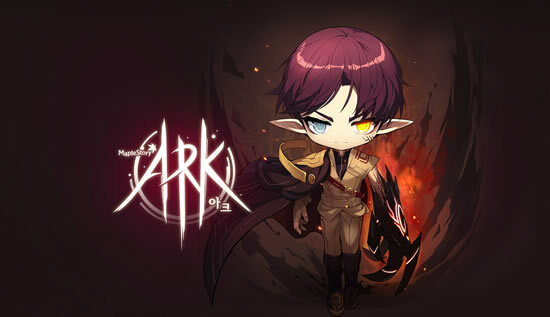 Now in MapleStory, you can check out and meet the new character, Ark, and harness the power of the abyss as you switch between Flora and Specter States. Improve your game with V Care, earning Matrix Points to aid your 5th Job. Complete daily quests faster and earn more rewards. Relive the story in a new episode of Grand Athenaeum, Shadow Alchemist. Explore Esfera in Arcane River while you search for Tana, and then practice your combat skills with the new Captain Vaga content. Earn tons of Ark Coins in the Discovery Events or you can buy Maplestory mesos on our website, and spend them on great items in the Ark Coin Shop. The Mega Burning event returns too! All this and more is coming your way in MapleStory: Ark! For more ARK information, you can visit the official website or check out the video below. Meet brand - new character Ark, a boy who is half-Flora and half-Specter. Ark, a descendant of the High Flora race, served as a soldier in the military; fighting for what he believed to be a worthy cause, a war for peace in the chaotic world of Grandis. Barely escaping a Spectre's usurping, he awoke years later in the barren desert wasteland of Verdel. Remembering only his name, he now struggles to find his true self and suppress the evil within. Little did he know that it was all an elaborate scheme for Spectres to take over the world. Ark is a member of Grandis' High Flora race. Being involved in a wicked scheme has resulted in half of his body being taken over by a Spectre. Without any memories of what he once was, Ark wanders through the abyss in search of his true identity. Ark is a pirate-type class who uses Knuckles as a weapon, and Abyssal Arm as a secondary weapon. He has the power to freely switch between two states: Flora Form - Combines classic High Flora combat techniques with magic. Spectre Form - Gains monstrous power from the abyss.